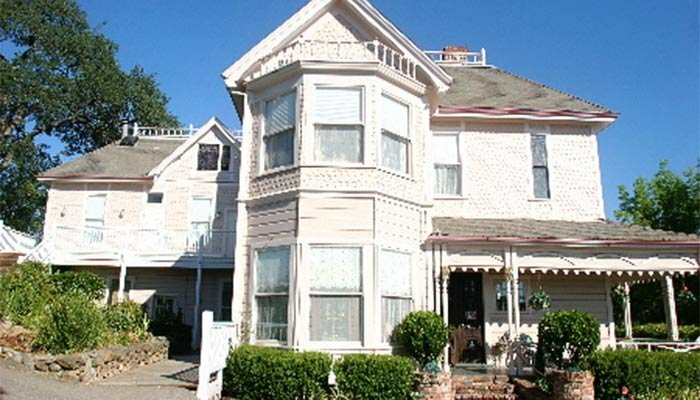 In 1884, the Honorable Harold T. Power built a beautiful Victorian Mansion for his family. The Mansion was built from a gold mining fortune that came from the Power family's Hidden Treasure mine. The Mansion, with its ornate architecture, came to be known as the Power's Mansion. It once occupied an entire city block in Historic Downtown Auburn. In 1912, Dr. John Gordon Mackay and his wife Margaret Marzen Mackay, purchased the Power Mansion from Harold T. Power and ran a successful medical practice out of the Mansion. The Mackay family owned the Mansion until Bernice Hancock Mackay sold it in 1982. By this time, many parcels of the property surrounding the Mansion were sold off. 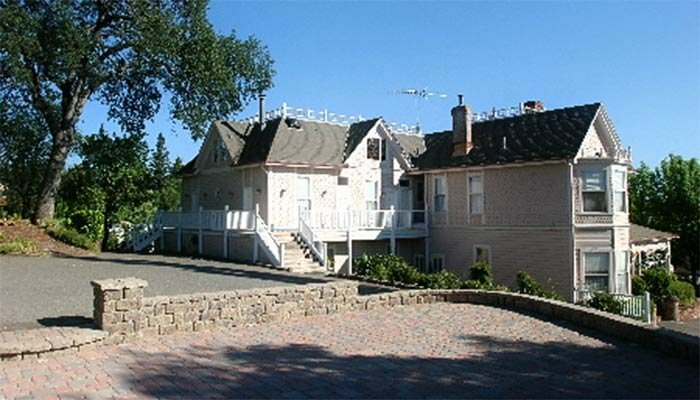 In 1982, a partnership formed by Dr. Arno Lejnieks and his wife Jean, purchased the Power's Mansion, built a new foundation and moved the giant house 30 feet East from its original location. This was done in order to accomodate a new driveway and 20 vehicle parking lot. In 1984 a North Wing was added to the Mansion and the Power's Mansion Inn was opened as a bed and breakfast. The Inn operated until it was closed in 2004 due to poor building conditions and the failing health of its owners. On July of 2004, Alfred Lee purchased the Power's Mansion Inn and began a daunting restoration process that included: 1) Roof repairs; 2) Dry rot and Wrap-around porch restoration; 3) Re-surfacing of Bath tubs, 4) Repair of Hydronix HVAC systems; 5) Building of a magnificent paved stone gardens and waterfalls; 6) Building of retaining walls needed to save the 108 year old Mansion oak tree; 7) Construction of wrought iron fences and gates; 8) Replacement of boiler systems for hot water supplies; 9) The painting and decoration of 16 bedrooms, 16.5 baths, two parlors a kitchen and a formal dining room; 10) Fully furnishing and decorating the Mansion; 11) Installing new "keyless" entry systems and doors throughout guest rooms; 12) Installing of a Mansion-wide Security Alarm systems with Grounds Video Surveillance; 13) Repairs to telephone infrastructures throughout each guest room; and 14) The installation of Satellite Television in every room. In Septemeber of 2005, Alfred Lee purchased 9 adjoining parcels of land surrounding the Power's Mansion (The Livingston Building and its parking lots) and moved the entrance of the Power's Mansion to the North side of the property now facing Harrison Avenue. This took considerable effort in order to maintain the beautiful "old historic" look of the original landscape. A beautiful Victorian wedding Gazebo was also built underneath the 108 year old Mansion oak is available to couples marrying at the Power's Mansion. 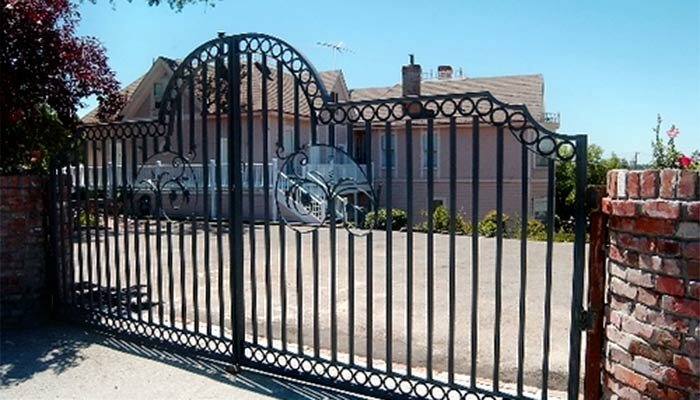 In 2006, the Power's Mansion Wedding and Event Center emerged as "The Place" to get married in Placer County. The Mansion continues to operate successfully as a destination wedding site, bed and breakfast and Victorian tea parlor. The Mansion is filled with photos and historical artifacts from the late 1800's. Under the careful restoration and management by the Lee family, the Power's Mansion Inn continues to improve. As a result, and for the first time (June 23rd, 2006) in its long history, the Power's Mansion was awarded the Auburn Journal's coveted "Best of the Best" bed and breakfast for 2006 award. In 2007, the Power's Mansion Opened the Power's Mansion Tea Parlor. This Parlor provides the only true victorian tea service inside a true victorian mansion. Our tea parlor offers guests and visitors yet another wonderful gourmet eatery to visit in historic downtown, Auburn. It is the perfect place for Bridal Showers, Birthdays, Girls' afternoon outings,etc. In July of 2007, the Power's Mansion, once again received the Auburn Journal's prestigious award for "Best of the Best" bed and breakfast. Furthermore, in 2007, the Mansion also won the "Best of the Best Wedding site" award, what a wonderful achievement! In July of 2008, our Mansion was yet again awarded the prestigious award for being the "Best of the Best" by the Auburn Journal. We are so proud of this wonderful achievement. It represents the fruit of our commitment to you our customers. We will continue to pursue excellent service to you and we are thankful for your vote and loyal support! On March 29, 2009, Alfred Lee opened and dedicated an Irish pub to commemorate Alfred's best friend's death the year before (March 29, 2008). The name of the pub is the James Visel Power fan club. It is fondly known as the "Power Club" and is themed after Jim's Irish heritage. Jim's Grandfather built the beautiful Power's Mansion from a gold mining fortune for his family in 1884. The Power Club sits on a hillside on the corner of historic downtown Auburn (Elm and High street) at 195 Harrison Avenue. In July of 2009, The Power's Mansion was once again awarded the prestigious award for being the "Best of the Best" by the Auburn Journal. We are dedicated to serving you our customers and our community. We thank you for your support and for validating our efforts. In the heart of "Gold Country" and centrally situated near many quaint shops, restaurants, night clubs and sports bars, the Power's Mansion was recently featured by Morgan and Chase Publishing as one of the Treasures of Northern California.